We are inviting to checking this cat pregnancy calendar. You can independently calculate when your kittens are expected. The average length of cat pregnancy is ca 65 days. But Mother Nature has got sometimes different plans. Four days difference is not unusual. So the whole cat pregnancy period may be between 61 to 70 days. If you know the date of mating your female cat, then it is easy to calculate the expected date of birth. 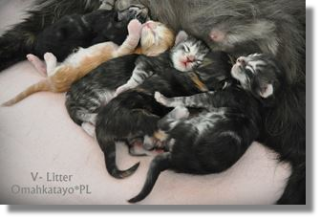 Cat pregnancy calendar & calculator. 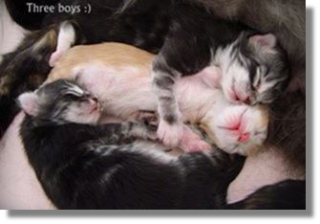 You can independently calculate the date of the birth of kittens. 2. See the dates associated with the childbearing.